There's nothing like a trip to really test whether products can stand up to the rigors (and abuse) of travel, of being transported and used on-the-go. And for our Backpack Photography Batanes workshop, we had the pleasure of having Canon Selphy, Sony Bloggie and Eagle Creek as travel companions. CANON SELPHY - The CP780 model was a much compact unit that the ones Canon generously lent us during our Banaue workshop. Considering the airline baggage limit, this smaller footprint and the lighter weight were a Godsend. 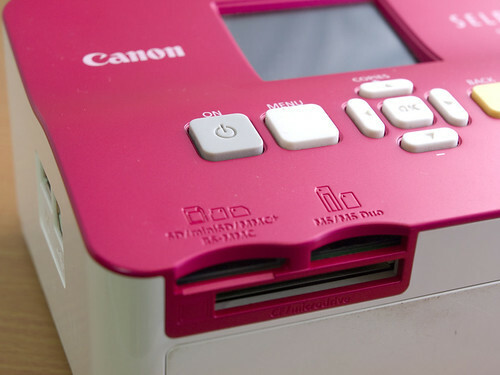 PROS: Nevermind the funky pink color, the printer was a hit among our participants. And why not? It was really easy to use, with no learning curve whatsoever. The exercise was pretty straightforward: insert card, choose file, choose number of copies, then press "Print". For the most part, the prints came out bright and impressive. I really liked the overcoat that makes fingerprint smudges less of a problem when handling the prints; the glossy coating also made the colors really pop out. CONS: Sadly, there's no facility for reading raw files which is tricky for dedicated raw shooters like me. There was also a tendency for some images to come out too dark. The unit loaned to us may also have a busted port for flash drives which limits the flexibility of this otherwise versatile and very portable device. VERDICT: Handy to have. Makes impressive quality prints. Wouldn't mind traveling with one. Visit the Canon website for more details on this Selphy. PROS: Really very handy camera. Easy to shoot even with just one hand. The swivelling head comes really handy during times when I forget to turn off the device as I just swivel it away to power down. The 360 degree lens attachment is a novelty. CONS: Image tends to blow out in overcast conditions and suffer during low light. The video, while of HD quality, IMHO, is much too compressed for practical use outside of sharing on youtube or social networking sites (must be a way to really lengthen recording times). VERDICT: A gadget ideally targeted to internet users. Handy, yes. But replacement for your Handycam, not really. 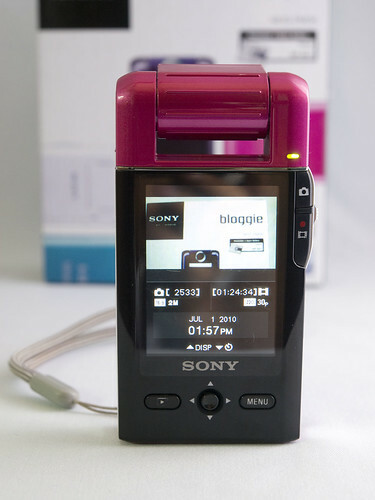 Jump over to the Sony website to get a closer glimpse of the Bloggie. EAGLE CREEK TWIST PACK 22 - I must admit I'm a backpack person through and through. So when Primer, the local distributor of Eagle Creek, was kind enough to offer me to test the Twist Pack 22 for the trip, I happily obliged. PROS: Very roomy with space to spare for all my stuff for a week's vacation. In fact, I could've contained even my carry-on camera bag inside. The zippers feel sturdy. The front flap has a myriad of compartments for electronics, cables, books, etc. The wheels are not prone to getting stuck. The sternum strap is really very much appreciated as it helps balance the load when the pack is used as a backpack. The pack also looks more like a backpack than the usual boxy luggage. CONS: A bit heavy at 7.4 pounds as I'm very used to backpacks under 3 or 2.5 pounds (this would make a good main pack though). The pack dimensions are also bigger than the specifications for hand carry/carry-on luggage so this pack will have to be checked-in when traveling domestically. VERDICT: Good quality versatile pack that feels sturdy and looks stylish. Wouldn't mind having one for future trips. Take a more detailed look at Eagle Creek's Twist Pack 22 at this link. 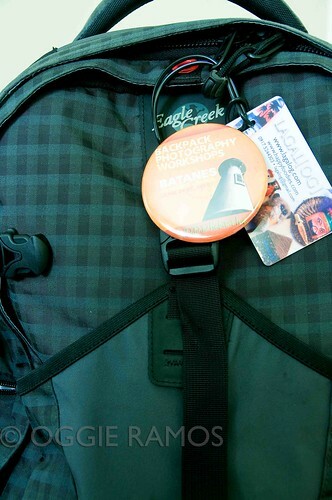 i want an eagle creek bag bai. oooh love the personalized luggage tag!